Yesterday, Tianjin, China was rocked by a terrifying explosion that has left 50 dead and more than 500 people injured. 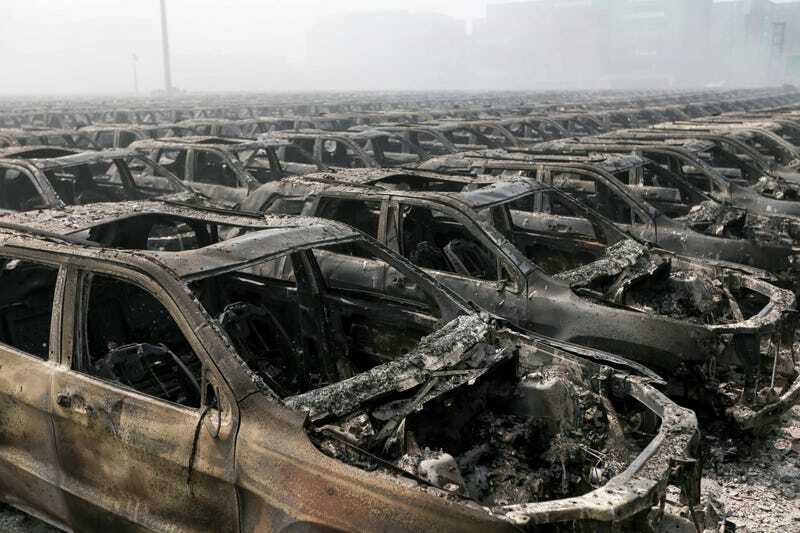 The impact of the blast was devastating—from the initial horrifying explosion to the shockwaves that shattered windows and glass a mile away and now to the aftermath—and has made the port city of Tianjin look post apocalyptic. Like a wasteland. Cars are burnt to crisp, fires are still going on, buildings have been stripped to their skeleton frame, and giant shipping containers have tumbled and fallen apart like a game of Jenga gone wrong. It’s all so sad. Here’s a collection of photos from the aftermath.